EXCLUSIVE STUDENT DISCOUNTS AVAILABLE | CLICK HERE FOR MORE INFO! Check Out the Press Release for Details! Phenom Elite Signs on as the “Official Uniform Provider of the NCFA”! DON'T SAY WE DIDN'T WARN YOU...CHECK YOUR ROSTERS!!! Phenom Elite Signs on as the “Official & Exclusive Glove Supplier of the NCFA”! 4 NEW SCHOOLS ENTER THE TOP 20 | CLICK HERE FOR THE FULL RANKINGS! 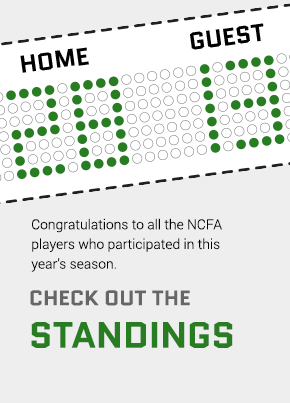 The National Federation of Collegiate Club Sports Leagues, L.L.C. (CollClubSports) is a compilation of governing bodies which oversee collegiate club athletics. 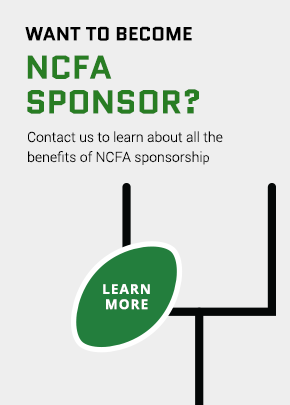 We are driven to provide collegiate student-athletes with the opportunity to participate in competitive, organized collegiate club athletic leagues, and to continually enhance this experience for all participants. We strive to accomplish this by building lasting relationships based upon trust, commitment, dedication, understanding, and strong lines of communication. Davis was on fire at the plate in Colorado Mesa's series against CU-Boulder this past weekend! Playing in all three conference games, she went 9 for 11 with two doubles, a triple and a home run, driving in nine RBI's and scoring three times herself. The sophomore also drew a walk and stole one base. Corinne was every batter's worst nightmare in the circle this weekend against Wright State. Starting and pitching in two games going 10 innings, she allowed one earned run, one run total, only two walks and four hits all while striking out 15 batters faced. Corinne was able to help Kentucky sweep Wright State and punch their ticket to Elkhart for the Great American Regional Playoff!